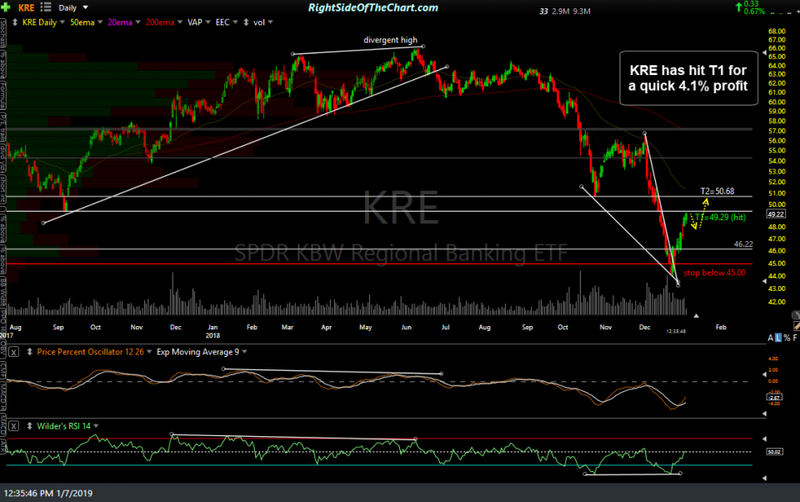 The KRE (Regional Banking ETF) has gapped above the 2nd & final target of 50.68 to open at 51.07, where any standing sell limit orders at 50.68 would have been filled. This provided a 10.1% profit on the trade in just over 2 weeks since entry. 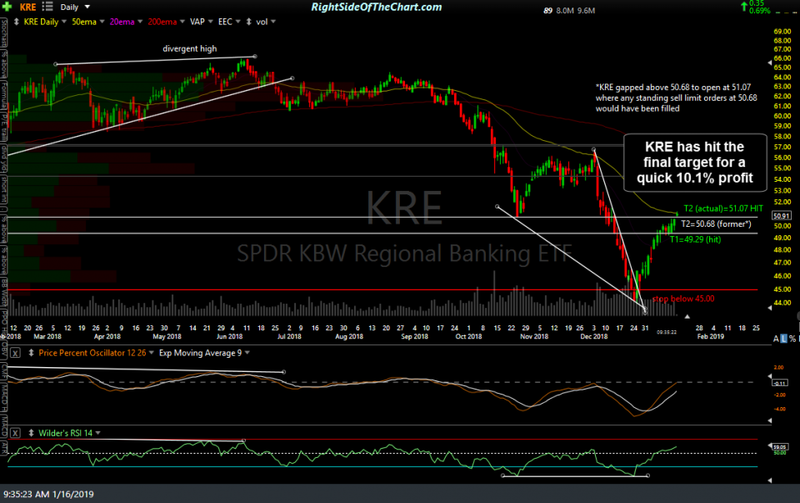 Consider booking profits or raising stops if you plan to hold out for additional gains. 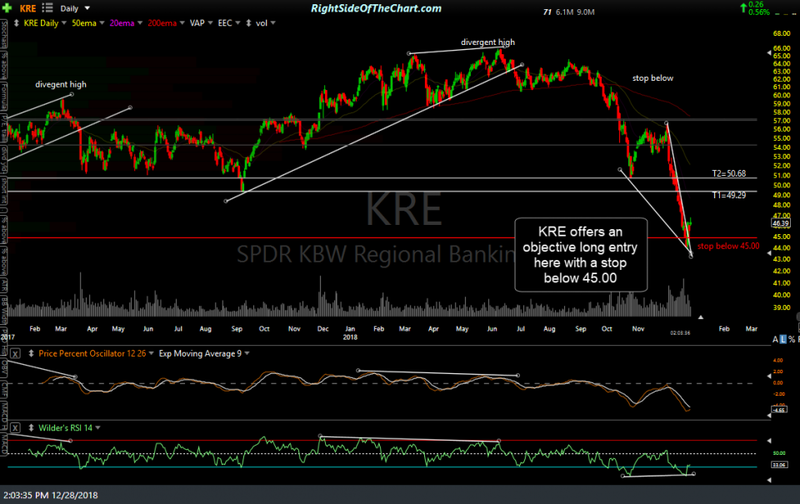 KRE will now be moved to the Completed Trades archives. Previous & updated daily charts below. Click first chart to expand, then click on right of each chart to advance.